My friend had this cool idea to make a cross out of pineapple for our Palm Sunday breakfast at church. 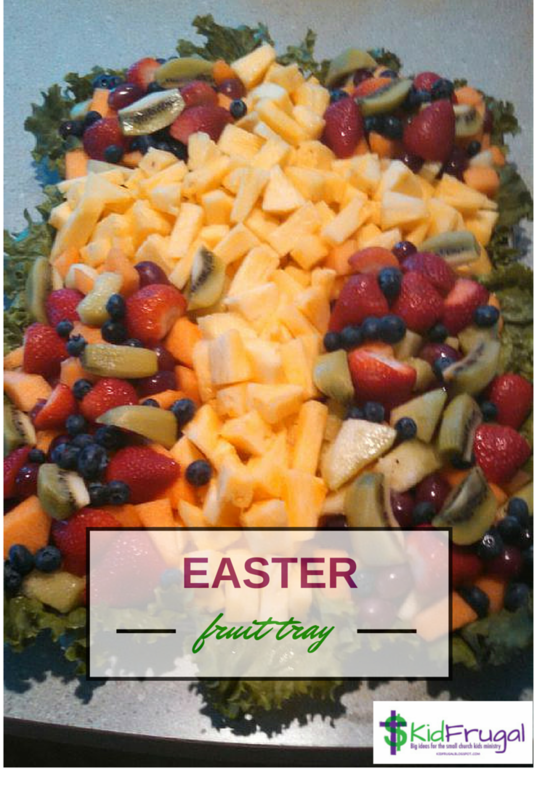 If you want to make designs in fruit trays, you can make templates out of anything stiff and design just about anything you can think of. blueberries and grapes. I made the templates out of a cereal box. I covered them with wax paper to keep them dry. Plus I didn't really want the cereal box cardboard touching the fruit. To get the roundedness for the circle I needed for the pumpkin, I scored the cardboard along the edge of my counter. I did the same for cardboard I used in the mouth. 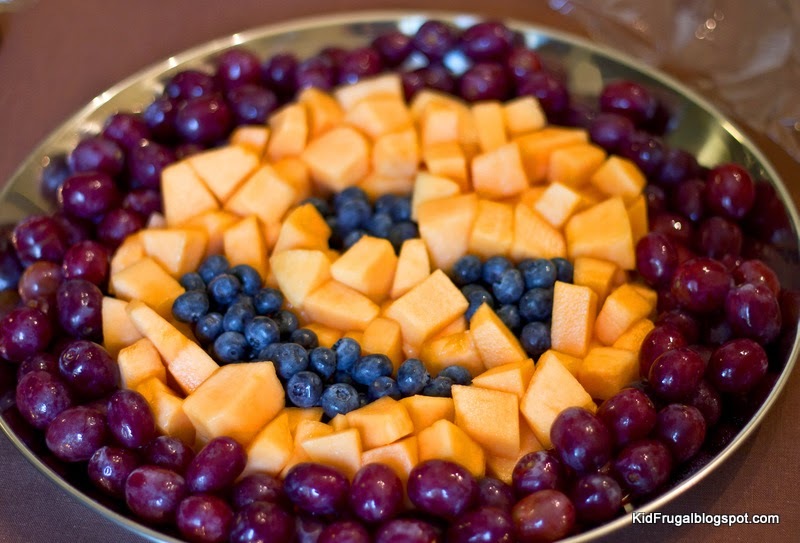 Then I placed the round template in my fruit tray and added the grapes. Next I made the eye and mouth templates. You can see why I needed to score the cardboard for the mouth too. My tray was not large enough to add a nose. I placed the eyes and mouth where I wanted them and added the cantaloupe. I had to wiggle the eyes into position after the cantaloupe was in. I added the blueberries last. When all was in place, I gently lifted out the templates and viola...a jack-o-lantern fruit tray.